Hoping New Music Festivals Will Come to Austin? Look East, Where the Cows Are. Walter E. Long Park in North Austin. Steps past a motorized gate and calf-deep in dung-spotted grass, Rick Cofer looked upon the acres of land that make up John Trevino Jr. Park. The entire park, Cofer said, is 330 acres. Yards in front of him, a herd of cows sought shade on a Texas summer afternoon. “One day [this] might be the site of some incredible music events and festivals,” Cofer said. Austin’s Parkland Events Task Force, of which Cofer is a member, recently identified four city parks that could become home to new music festivals looking to enter the Austin scene. These include Trevino, Bolm Road Park (which is not yet a park, but a plot of land the city recently acquired), Onion Creek Metropolitan Park and Walter E. Long Park. As Jason Maurer with the Parks and Recreation Department said, currently when new festivals come calling, he has to turn them away. 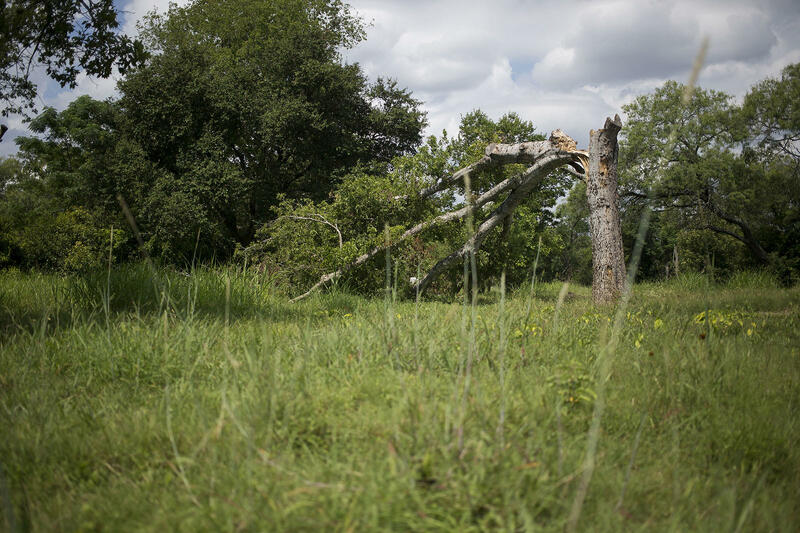 The Austin City Council formed the Parkland Events Task Force last March to investigate how the city could better balance park use between special events – often frequented by out-of-town visitors – and locals, who are interested in the parks more for everyday use. Task force co-chair David King, who also heads up the Zilker Neighborhood Association, knows that life firsthand. “I live in a neighborhood right next to Zilker Park,” he said. According to a city calendar, last year 120 days were set aside for special events at the park – including setup and breakdown for bigger events such as the Austin City Limits Music Festival. “So, we definitely have a lot of experience with events at the park and how some of those negative impacts affect our neighborhood,” said King. King has trouble imagining moving an event as iconic as ACL or the Trail of Lights from Zilker. Instead, these four parks (all of which rest east of the city), could allow for lesser-known festivals to pitch stages near the city. "My question is, are they going to do anything other than bring other peoples' trash out our way?" It seems to be the way smaller festivals must go. For example, Austin’s newest Sound on Sound Festival, which was founded by former founders of Transmission Event’s Fun Fun Fun Fest, announced it’ll set up at Sherwood Forest Faire in Bastrop County – some 40 miles outside of downtown Austin. But some neighbors of these green spaces on the edge of Austin are concerned about what’s in it for them. “My question is, are they going to do anything other than bring other peoples’ trash out our way?” asked President of the Colony Park Neighborhood Association Barbara Scott. Scott lives near Walter E. Long Park in northeast Austin. She said she would support more events at the park if it meant the park would be developed into something she would use – right now, she said, a fence obstructs most of it from the public and she’s never seen anybody but campers on the grounds. “Is this going to be a destination where all they do is bring stuff they don’t want to hold at the other parks, or are they going to actually have a park plan where you turn it into a park like Zilker Park?” asked Scott. Members of the city’s Parkland Events Task Force noted that part of this process would be updating (or creating for the first time) the master plans for these parks. “This could be an opportunity for other parks to get infrastructure, to get updates they need,” said King. Susan Willard chairs the Onion Creek Park Neighborhood Association. She said bring the festivals out, and then maybe her neighborhood park would get more upkeep. Residents can comment on these four parks being used for special events at SpeakUpAustin.org. There are parts of Austin parks where you can drink alcohol without a permit, but sometimes the rules aren’t so clear. That’s the basis of the City of Austin's decision to redefine some of the parks’ alcohol-free zones. Although the city’s Parks and Recreation Department ordered the repair of an East Austin neighborhood pool in late April, it appears that the department had bids for the work for some time. This, even as department officials initially told residents that the pool would have to be closed for the 2015 summer season and then back-tracked under community pressure. On Nov. 5, 2014 (see below), the Parks Department received a bid from Commercial Swim Management for Metz Pool repairs totaling $10,232.60. Those repairs included replacement of the plumbing in a pool wall drain and installation of new valves and piping. That bid was eventually approved, and a purchase request was made by the city on April 30, 2015. What’s in a name? Or rather, what’s in a naming process? These are the questions Austin’s Parks and Recreation Department is hoping to answer soon. The department has made its first stab at a new ordinance that lays out a specific process for naming its parks and recreation facilities.